Contact Coconut Grove Accident Lawyers Gerson & Schwartz, P.A. Learning that your loved one was killed in an accident is likely one of the worst days of your life. One minute, everything is normal. The next, your life and future have changed. Worse yet, you may learn that your loved one’s accident was caused by another person. 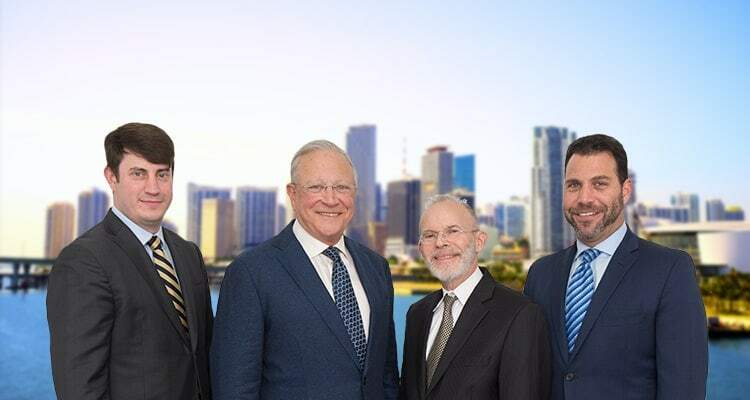 If you live in Coconut Grove, and you believe your relative’s death was another person, business, or municipality’s fault, do not hesitate to call our Coconut Grove wrongful death lawyers at Gerson & Schwartz P.A. We understand how devastating this experience is. You should be able to focus on your family right now instead of a legal or insurance claim. However, you cannot ignore this claim. You will almost certainly need a financial recovery, whether you lost a loved one who financially contributed to the family or you are forced to pay for unexpected medical bills, funeral, and burial. We are here to help you prove the other person’s carelessness, recklessness, or intentional misconduct, which will support your claim for compensation. To learn more about receiving a settlement after your loved one’s wrongful death, call us at (877) 475-2905 to schedule a free consultation. If your loved one was killed in any type of vehicle accident, a boating or cruise ship incident, due to a dangerous property or defective product, or because of a crime, contact us right away. We are experienced in investigating all of these types of claims. We know where to look and who to talk to in order to gain evidence. If necessary, we may recommend filing a wrongful death lawsuit. This enables us to use the discovery process to gain additional evidence. We can use interrogatories, requests for documentation, and depositions to find out more of what happened and get evidence that could support the other party’s fault. A wrongful death lawsuit in Florida is very different than a personal injury lawsuit. If you were injured in an accident caused by someone else’s negligence, you can file a lawsuit and seek compensation for yourself. However, when someone is killed, they cannot file suit themselves. Instead, someone must do it for them. Under Florida Statutes Sections 768.16-768.26, the only person who may file a wrongful death lawsuit is the personal representative of the decedent’s estate. The personal representative, also called the executor, pursues the claim and compensation for the decedent’s survivors. Also, Florida’s Wrongful Death Act determines who may receive compensation after someone’s death. Under the law, “survivors” specifically mean a surviving spouse, children, and parents. Also, it may include other blood relatives or adopted siblings who were partly or entirely dependent on the decedent’s financial support or services. To determine whether your family may be entitled to wrongful death compensation after a loved one was killed, call our wrongful death attorneys for Coconut Grove right away. Our team at Gerson & Schwartz P.A is always here to listen to your story and help you when we can. One reason to file a wrongful death claim is to hold the negligent party responsible. It gives you the means, through the civil courts, to obtain a small amount of justice for your deceased loved one and family. However, for most families, the biggest reason to file a claim is compensation. Losing a spouse or parent can be financial devastating. That person’s income may have been essential to making ends meet. Also, many families have a difficult time using money from savings to pay for medical bills, funeral expenses, and a burial. The funeral and burial alone can cost multiple thousands of dollars. The potential value of a wrongful death claim varies greatly. Before you assume how much your claim may be worth, call us right away. We will go over many of the elements that can impact a claim, including your family’s damages, your loved one’s possible contributory negligence, and insurance policy limits. When you have lost a loved one unexpectedly, and you believe there is evidence that someone else was at fault, you should call a wrongful death law firm as soon as possible. At Gerson & Schwartz P.A., our bilingual attorneys have decades of experience handling personal injury and wrongful death claims. We have the knowledge, experience, skills, resources, and reputation you need to bring a successful insurance claim or lawsuit. Our goal will be to obtain you as much compensation as possible. Call Gerson & Schwartz P.A. at (305) 371-6000 to schedule a free initial consultation at our Miami-Dade County office.